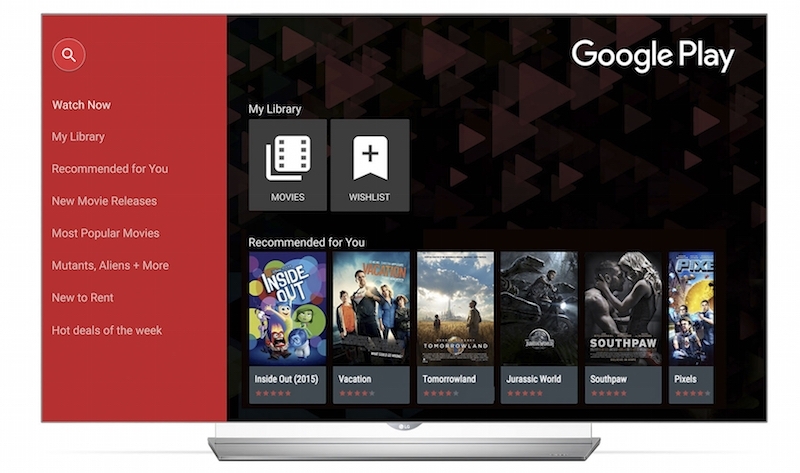 Anyone who owns one of LG's smart TVs will soon have access to a lot more streaming content, as the company is adding Google Play Movies & TV to its WebOS smart TV platform (and its older Netcast 4.0 and 4.5 platform) later this month. While the service is available on the iPhone and the iPad, the move will mark the first time Google Play Movies & TV has been used on a smart TV platform outside of Google’s own Android TV system. "U.S. consumers are increasingly demanding fresh, high-quality content and we're seeing the smart TV market grow rapidly as a result," David VanderWaal, vice president of marketing at LG Electronics, said in a statement. "Offering our customers the best possible home entertainment experience is our highest priority." Google Play Movies & TV offers thousands of movie titles and TV shows for users to rent, including timeless classics, new releases, independent films and cult favorites in SD and HD formats. As the service is cloud-based, users will be able to start watching a movie on their TV and continue where they left off on their smartphones, tablets or PCs. LG bought all WebOS-related patents and its source code from HP back in 2013, with the intent of building it into its range of smart TVs. Last year, the company announced that it had sold over 1 million webOS-powered smart televisions within 4 months of the Korean manufacturer launching the displays. The platform aims to provide a simple and intuitive way for users to find their favorite content. LG says Google Play Movies & TV will be available on LG smart TVs in 104 countries, beginning with the US, UK, Canada, and Australia within the next two weeks.